14 Years Old Groom: The news now and then is full of young age love, forced marriages and young people becoming parents at a tender age. This leads to some issues later on, and every country should set a minimum age for both the bride and the groom. Many Countries have worked upon and implied such rules but still, in some rural areas, this practice is seen. Ali Al-Kaissi is 14 years old young 10th standard student got married to his 13 years old cousin almost a year and a half ago. He is considered to be the youngest groom of city Tabuk. Blessed with a Baby Boy: The good news is that the young couple has been blessed with a baby boy. 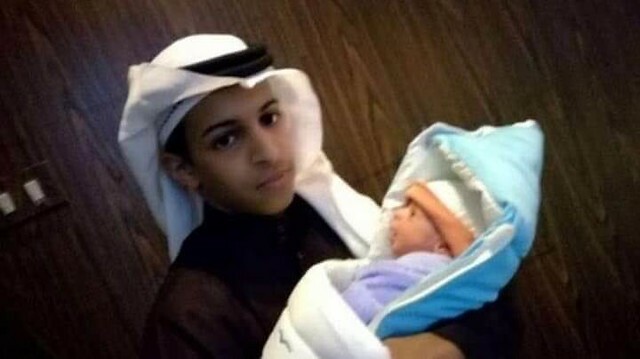 Ali Al-Kaissi became a father when he was only 16 years old after almost 1.5 years of his marriage. His wife was only 15 years old when she gave birth to a child. His wife gave birth in the military hospital. He thanked God for his happiness. The hospital staff refused to treat his wife: He was interviewed by a Saudi newspaper. According to his interview, when his wife entered the hospital the staff refused to operate her in the absence of her father saying that she was under 18 years. Ali Al-Kaissi explained that the hospital was insisting that his wife's father should sign a legal document allowing the doctors to perform a caesarian delivery if necessary. Later on, Ali met the head of the hospital who was a very responsible person and allowed him to sign the documents. The baby was delivered normally rather than a cesarean delivery. 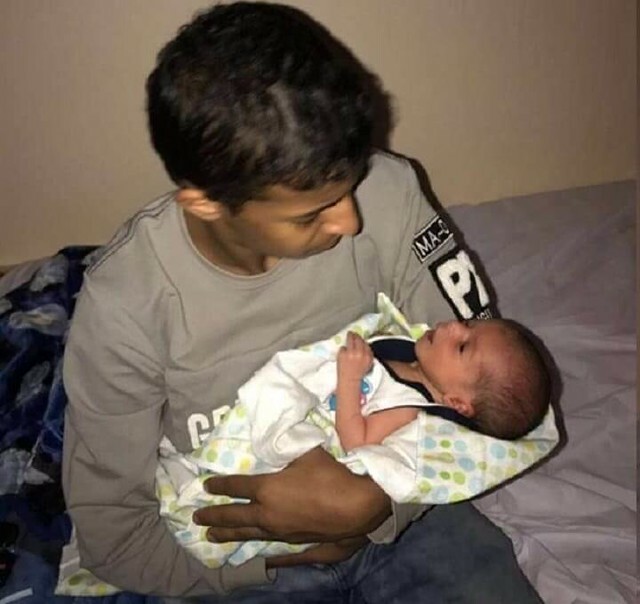 Ali named his baby Mohammad after his father. Al-Kaissi said his wife’s mother is currently taking care of their child and helping them to adjust on their parenthood. The topic stirred a debate: His news of becoming a father stirred a topic of debate among the people. This topic became an issue of talk everywhere, many people supported him while the other showed hatred. A child producing another child and taking the responsibilities of marriage and childbirth is not just a child play. Many responsibilities arise when we are bound in a marriage relationship or become a parent. Parenthood is a serious business. We should take it seriously. Some people think it is very unfair for a child to become a father at this very early age. They think that he did not live his own childhood like other kids. This is very unfair for these two children. Many people supported and congratulated him for his new and beautiful life ahead. One of his supporters said this type of marriage is much better than illegal affairs and watching porm at a small age. As a Muslims, we all know that there is no specified age for marriage in our religion. Shoura Council is taking all the steps to make legislation against Child Marriage, still, 1 out of 7 girls in Saudi Arabia gets married before 18.